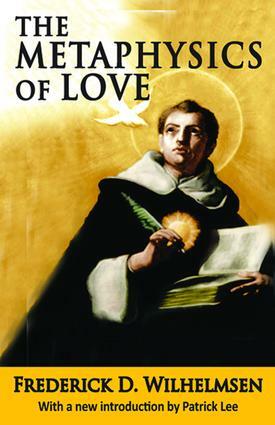 The Metaphysics of Love develops the existential metaphysics of St. Thomas Aquinas, applying it to explore the ontological structure of the human person. Published first in 1962, this book demonstrates the fertility of Thomistic metaphysics and the enduring influence of Thomism on Western philosophy. It uncovers the ecstatic structure of human existence, in dialogue with philosophers ranging from Plato, Aristotle, and Aquinas, to Kant, Hegel, Heidegger, Tillich, Zubiri, and Ortega y Gassett, as well as theologians and historians Romano Guardini, Hilaire Belloc, and Eric Voegelin.Philosophical and theological examinations of love have in various ways raised the following question: how can love of self (eros) be harmonized with love of others (agape)? These types of love represent two drives, Wilhelmsen argues, that in the end must be seen as aspects of existence itself. Moral and psychological problems of love turn out to be manifestations of metaphysical issues.While different cultures have emphasized one of these drives or the other, a healthy culture will not completely forget either. Cultures differ in the way they emphasize one or the other, or flee from one or the other. These dimensions of human existence provide the framework for a person's love of self, neighbour, and God. This volume is part of Transaction's Library of Conservative Thought series.